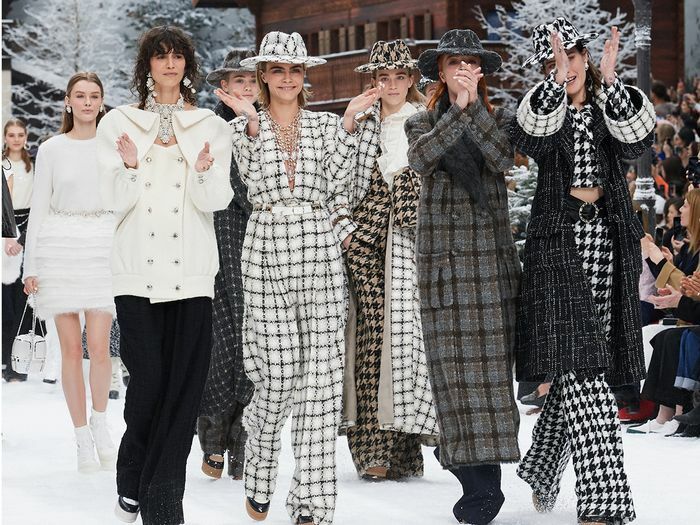 As the music started, Cara Delevingne appeared on the runway in a checked tweed–and-houndstooth ensemble topped with a fedora—a fitting opener given the model’s close relationship with Karl. The collection blended streetwear and ski wear, mixing winter fabrics with airy chiffon. Picture a woman on a ski vacation who is the height of sophistication but somehow makes it look comfortable and easy. Winter white was a major theme, supported by beige, navy, and black, with punches of pink, green, and red. Toward the end of the show, Penélope Cruz, a recent Chanel ambassador, appeared holding a single white rose to honor Lagerfeld. As the models took a final lap on the runway, David Bowie’s "Heroes" played, another nod to the iconic creative director. Anna Wintour led a standing ovation, with every guest in attendance rising to their feet. Post-show, I noticed many guests lingering, quite the opposite of the usual stampede for the exit. 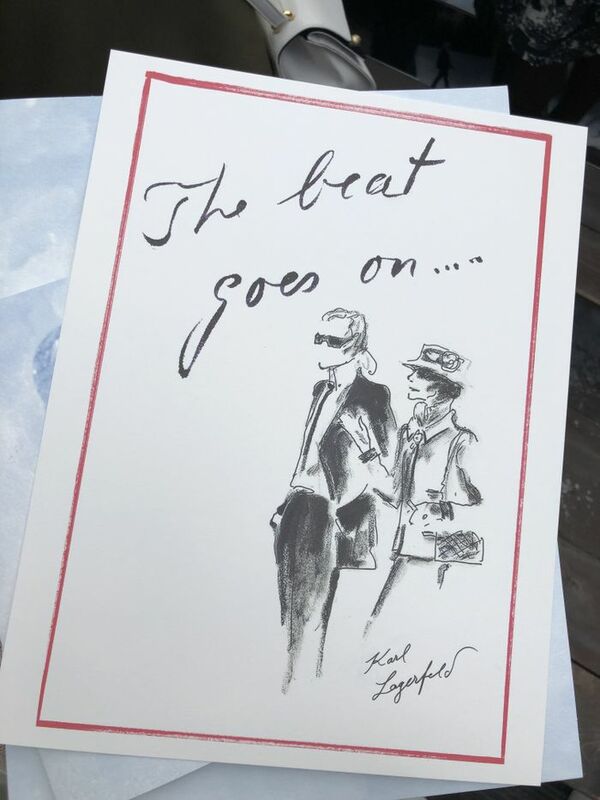 The sentiment was clear: The fashion set wanted to savor the last bits of Lagerfeld’s legendary vision. Next, learn about Karl Lagerfeld's successor, Virginie Viard.